It started this morning. Checking out a few things on leaderboards, I noticed that Jamie Moyer, a personal favorite, had an unsightly 1.75 WHIP. Yet, his BB/9 was a better than average 3.14. Naturally, his H/9 was going to be bad. How bad? The worst among ERA qualifiers: 12.6 H/9 ip. Checking to see what score lead the category in this young season, I saw Gio Gonzalez leads the league with a 5.3 H/9. I'm taking this opportunity to look for other Best and Worst from certain stats that will hopefully raise an eyebrow or two. I'm not just going to say so-and-so has the highest whatever and so-and-so has the lowest. Let's look for something surprising, or as Neal Page would say, mildly amusing. *Yes, Josh Hamilton's wOBA is higher than Marlon Byrd's OPS. *Charlie Morton really needs to induce a pop up. We didn't mean to pile onto Marlon Byrd and Ubaldo Jimenez. They've earned their place. 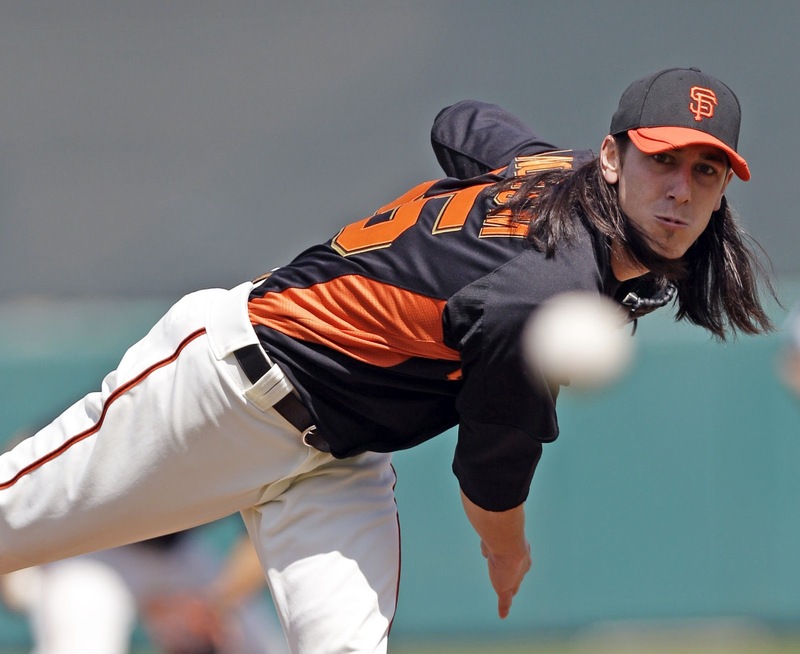 How about Tim Lincecum having the worst WPA of all qualified starting pitchers? Make some bar bets with that one, and you should be able to drink free all night. All stats courtesy of Fangraphs.